MONTREAL, Nov. 1, 2018 /CNW Telbec/ - Alithya Group inc. (TSX: ALYA) (NASDAQ: ALYA) ("Alithya"), a leader in strategy and digital technologies, today announced the successful completion of the previously announced business combination between Alithya Group Inc. ("Alithya Canada"), a Québec private corporation, and Edgewater Technology, Inc. ("Edgewater"), a Delaware corporation listed on the NASDAQ Global Market (NASDAQ: EDGW). Pursuant to the business combination, each of Alithya Canada and Edgewater became a wholly owned subsidiary of Alithya. As a result, Class A subordinate voting shares of Alithya ("Subordinate Voting Shares") will commence trading on the Nasdaq Capital Market (NASDAQ) and the Toronto Stock Exchange (TSX) under the ticker symbol "ALYA" on November 2, 2018. ‟I am very pleased that we have completed this transaction. 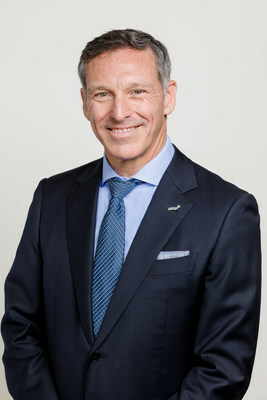 This is a significant piece of our growth strategy, which is based on both organic and acquisitions, which will constitute a pillar in our ambition to become a leading North American firm in the consulting, transformation and digital technology solutions market," said Paul Raymond, President and CEO of Alithya. ‟Our Board of Directors and our management team strongly believe that the diversified expertise and skills of our 2,000 professionals will meet the strong market demand for innovative and agile technology partners with the scale to accompany them in their transformation challenges." On October 30, 2018, Alithya Canada closed its previously announced bought deal private placement where an aggregate of 11,736,055 subscription receipts were issued at a price of C$4.50 per subscription receipt (the "Offering") for estimated gross proceeds of approximately C$52.8 million. Each subscription receipt automatically converted into an Alithya Canada common share prior to the closing of the business combination, and then exchanged for one Subordinate Voting Share upon closing of the business combination. Alithya now provides leading-edge expertise in implementing Microsoft solutions, including Enterprise Resource Planning (ERP Cloud), Customer Relationship Management (CRM), Azure, and Business Analytics. Fullscope's achievements have earned it numerous industry awards, including being named to Microsoft's prestigious and highly-regarded Inner Circle in 2018, for a 13th year in a row. Alithya's agile operating mindset is particularly appreciated by companies, including its co-sourcing approach. This allows for risk sharing between the client and Alithya, and provides the customer with continuous visibility into the fulfillment of projects. Alithya Group inc. is a leader in digital strategies and technologies in North America. Founded in 1992, the Company employs approximately 2,000 professionals in Canada, the United States and Europe. Alithya's integrated offering is based on the pillars of expertise: strategy services, Microsoft and Oracle technologies and custom solutions. Its clients are active primarily in the financial, manufacturing, retail and distribution, telecommunications, transportation, professional services, health and government sectors. Alithya is an advocate for workforce diversity. As such, the firm is a member of the 30% Club, which encourages the participation of women in management roles, and is implementing immigrant-friendly recruiting initiatives. Certain statements herein may be "forward looking" statements that involve known and unknown risks, uncertainties and other factors that may cause the actual results, performance or achievements of Alithya Group inc. or the industry to be materially different from any future results, performance or achievements expressed or implied by such forward-looking statements. Forward looking statements involve significant risks and uncertainties, should not be read as guarantees of future performance or results, and will not necessarily be accurate indications of whether or not such results will be achieved. A number of factors could cause actual results to vary significantly from the results discussed in the forward looking statements. These forward-looking statements reflect current assumptions and expectations regarding future events and operating performance and are made as of the date hereof and Alithya Group inc. assumes no obligation, except as required by law, to update any forward-looking statements to reflect new events or circumstances.